The Rowan District is pleased to announce that we’ve finalized our location for our district popcorn kickoff on Saturday, November 2, from 8:30-11 a.m. We will be holding our kickoff in the Buck Hurley Gymnasium at the J.F. Hurley Family YMCA, located at 828 Jake Alexander Blvd. West in Salisbury. Please save the date and we look forward to meeting with your unit popcorn representatives to help get your popcorn sale started on the right foot. 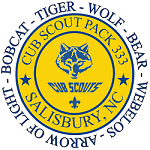 If you have any questions, please do not hesitate to contact John Barden (john.barden@scouting.org) or Melinda Morgan, district popcorn chair, at 704-213-2861, melmorg04@yahoo.com.